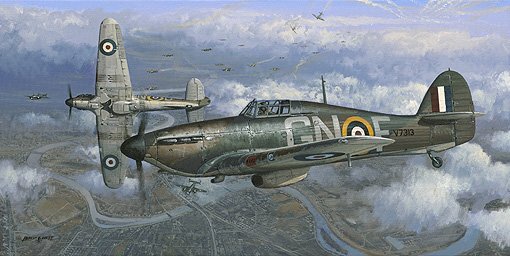 Depicting Wing Commander Tom Neil about to join in the combat with German bombers over London. At the height of the Battle of Britain, the RAF stood alone facing an enemy determined in their goal of total victory. Little did they understand the mentality of the defenders strength of conviction, courage and shear bloody mindedness to protect the homeland. British and Commonwealth pilots together with others from far off lands joined the RAF in battle and after much sacrifice won the air war for all freedom loving people.